With London Fashion Week in full swing, I’m focusing on future trends and inspiration but we have our own Fashion Week to celebrate next month! Brighton Fashion Week runs October 15th-17th and has been showing us the talent of local and international designers for a whole decade. Brighton based designer Louise O’Mahony returns to Brighton Fashion Week with her label, L•O•M. The designs focus on embracing the femininity of the female silhouette. Louise will be showcasing an exclusive sustainable collection at the Zeitgeist show on Friday 16th October. Gabriella Sardena’s SS16 collection is inspired by the innocence of femininity, exploring unique surfaces and textiles such as puff paint and embroidery, along with trapping and bonding fabrics together to produce three-dimensional textures and shape development. Again, confidence is key and the same sense of fun follows through – yippee! Gabriella’s take on fashion this season introduces not only a modern, if not futuristic take on fabrics and how to wear them but also a wonderful combination of the gutsy and the girly. Ladies, get set to go all out with style and to love every minute of it. 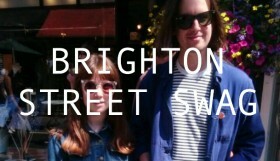 Gabriella will be showcasing her new collection at Brighton Fashion Week’s Zeitgeist show on Friday 16th October. Helen Woollams is an Award Winning Designer who has over 15 years experience having been featured in the likes of Vogue and at London Fashion Week 2015. For her label, Hellavagirl, Helen has no rules in her creative process. More often than not she cuts straight into cloth and shapes and creations are born and developed organically, then developed backwards from garment to pattern and back to create the final masterpiece. There you have it once again – boldness, confidence, attitude – all while being prettily feminine. She creates the new womanly silhouette with billowing fabric and volume, cinched in at the right places. Pattern and print feature heavily, blended with an otherwise classic palette of deep black. The latter makes a refreshing change and we don’t normally associate black with spring but I love the idea of bringing in this ‘anyone-can-wear-it’ hue and adding vibrancy with print and colour pops. 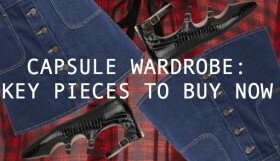 Wear one black piece next season and team it with the boldest top, shoes and accessories you can find for a new take. Black is the new black. Helen Woollams will be showcasing her latest collection at the Zeitgeist show on Friday 16th October. KellyDawn Riot create pieces of wearable art inspired by nature and crawling with details that will never cease to amaze…for men. Yes gents, you too an get in on the action. Her pieces are made using remnants from local Scottish mills or natural fabrics such as cottons and linens, making them strong and durable, while the eco-friendly printing techniques and the attention to detail ensure that each piece is a treasure. I love the eco emphasis and I’m sure bohemian Brighton will too and the fact that men are inspired to embrace the same bold prints and colours that women will soon be donning, is wonderful. It’s about time. 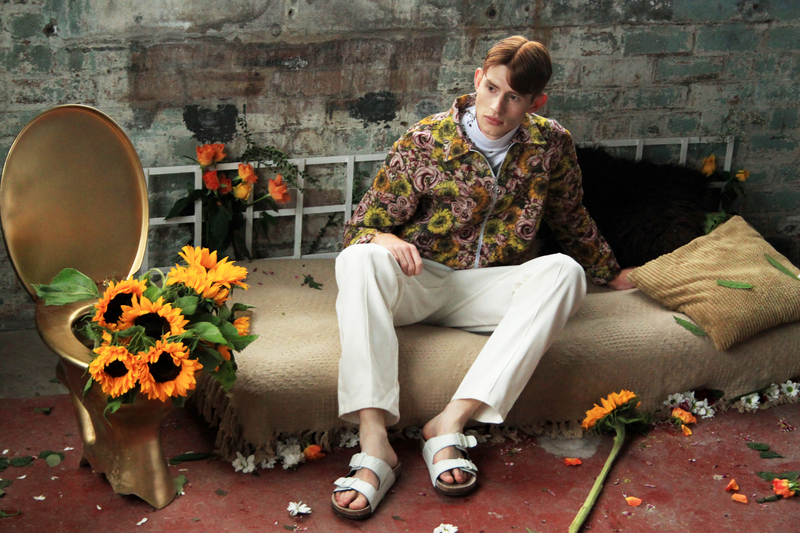 Who said florals are just for girls? KellyDawn Riot will be showing at the Sustain Catwalk Show on Friday 16th October. Clothing is an expression of character, so while fashion is always going to be important, it should never be harmful. Sustainability is key to this and ethical garments can be a powerful expression of beauty. The Sustain Catwalk Show promotes sustainability through the showcasing of designers and practitioners who combine innovative fashion and ethical thinking to produce unique collections. Designers include SCAP ELC (Extending The Life of Clothes) Award winners Kitty Ferreira, Rhiannon Hunt and Angus Tsui and Raggedy Rags. A showcase of the depth, breadth and variety of creative individuals and collectives working at the cutting edge of the fashion industry today, the Zeitgeist Catwalk Show looks to the future to see what can be achieved. Twelve designers with fresh ideas and original concepts present their lines on the catwalk, including Catherine Hudson; who showcased her first sustainable collection at Hong Kong Fashion Week 2014. Also on the lineup are Gabriella Sardena, Hellavagirl and Issac Raymond. Bethanie Lunn Bethanie Lunn is writer, blogger and personal stylist. She offers Personal Shopping services at Churchill Square Shopping Centre in addition to acting as their resident Style Ambassador, writing their blog and columns like this one. She runs her own blog, BethanieLunn.com and digital channel offering get-ready-quick tips as well as being the author of The Modern Girl’s Guide to Fabulousness, championed by none other than Elle Macpherson. All this whilst looking after a toddler and with another one on the way… Phew! 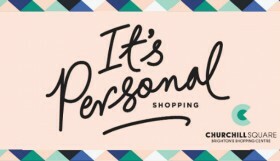 Brighton up your wardrobe with Churchill Square’s new personal shopping service!